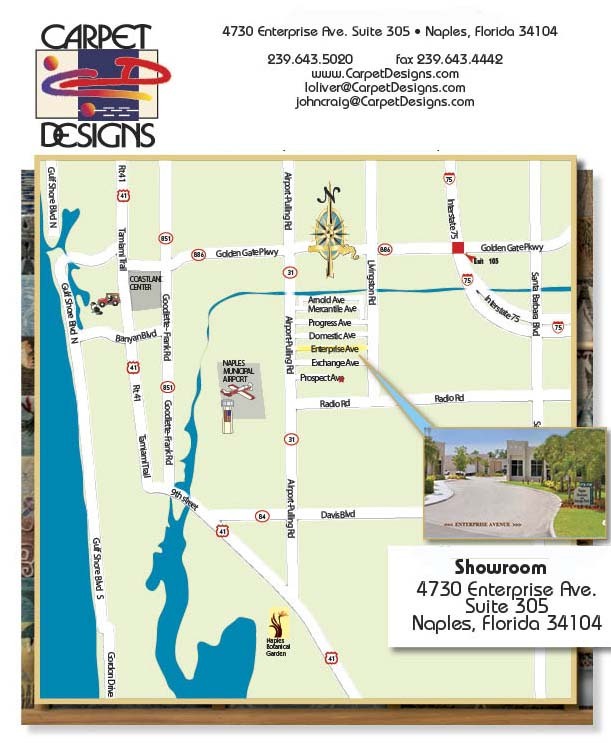 Carpet Designs Naples - Contact Us! Please call or send an email and let us know what we can do to help with your design challenge. Call for an appointment and come visit! 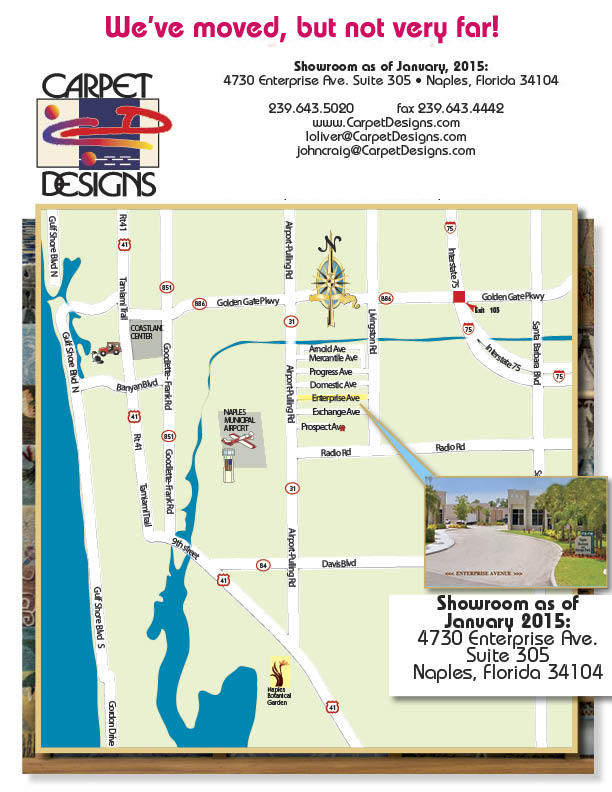 For a map to get to our beautiful warehouse location.